André Villas-Boas seems to have found that loving feeling for the game of football, of all places in Russia. The former FC Porto, Chelsea FC and Tottenham bench boss has seem to find his Midas touch once again, and the team benefiting from it is Zenit. After one of the most incredible seasons in charge of FC Porto, where he managed to lead the club to incredible treble that included the Portuguese Cup, League title and UEFA Europa League cup, it was very obvious that he was estimate for bigger flights. Chelsea had success the previous time they had signed an upcoming Portuguese coach from FC Porto, so they thought that perhaps was time to dip into that well for a second time. Not due to his talent but perhaps to inexperience leading with big egos and larger than life personalities his stay at Chelsea was short lived. Once Chelsea and Villas-Boas parted ways, doubts about his ability to manage at the highest level came to the forefront, but someone who wins a treble doesn’t suddenly lose his ability to coach or manage a team, and with that in mind Tottenham gave me a chance to prove that he could succeed in the Premier League. He did just that, in his first season at Tottenham, he lead them to a club record 72 point season, finishing one point off a Champions League spot. It seemed that Spurs had given him a new lease on life and the ability to show all of those that doubted him that he indeed had enough quality to succeed in the Premier League. Tottenham sold Bale and several other key players during the offseason, the 2nd year behind the Tottenham bench was short lived. On December 16th the club announced that both parties had agreed to part ways. That second season didn’t get off to the right foot, but when you strip your club of its biggest players it takes time to rebuild and Tottenham didn’t give him the time he needed. It looked like once again Villas-Boas was unemployed and unable to have a successful career outside of Portugal. To his credit, he could have taken the easy road and rejoin FC Porto, but he seemed to be determined to prove that he could coach outside of his country and be successful at it. This is when Zenit comes into the picture. 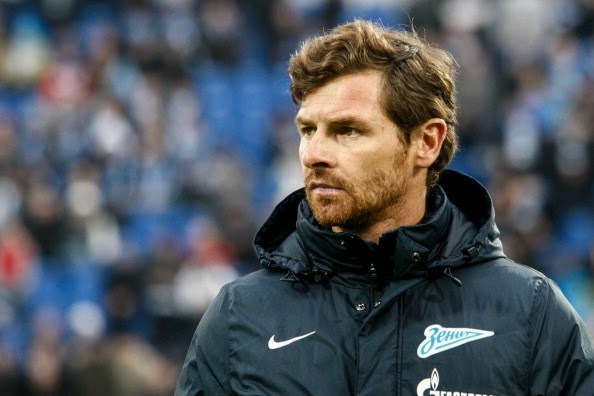 March 18th 2014, Villas-Boas signs with Zenit, as he replaces Luciano Spalletti in charge of the club. It was a surprising move from his part, but an incredible intelligent move by Zenit. Villas-Boas is an incredible intelligent manager, and given the right pieces he can put together a side that not only is competitive but that also plays incredibly exciting football. He loves attacking football, but he never forgets that defense wins games. So his ability to have his teams pressing high, to regain possession and start their offensive movements has always been a hallmark of his teams. Zenit has the players and now the perfect coach to use this system and use it well. In past seasons, Zenit spent big bucks on some high profile players like Hulk and Witsel, but those moves never really paid off domestically or in Europe. Villas-Boas knows what he needs in order to implement his game, so instead of spending or perhaps over spending on players, he has made some very well defined additions for a smaller budget than his predecessor. The additions of Garay from Benfica to help straighten the defense and Javi Garcia from Manchester City are two very important acquisitions that allows him to have his team more balanced and able to better display his brand of football. Zenit has had a perfect start to the season with 4 wins in 4 games. They have scored an incredible 15 goals in those 4 games while only allowing 2 goals. This is Villas-Boas football at its best. This past Wednesday, they also defeated Standard Liege in Belgium 1-0 during the Champions League 3rd round play-off, giving themselves an away lead for the second leg at home. Life is smiling for Villas-Boas and Zenit, and perhaps Russia was the right place for him to rebuild his career and show the footballing world how talented he really is.